Two weeks ago, one of my students asked me a very unusual question: what tai chi style are we practising? It is not unusual because there are no styles in tai chi, but because people rarely ask. That is why I often take for granted that my students either have this knowledge or are not interested. I may drop in a sentence here and there when there is a class starting in a new territory, but all in all, I often try to get my students physically moving from class one and maybe forget to explain the most essential thing: where what we do in House of Movement comes from. House of Movement and Devon Tai Chi Centre students are learning #Chen Style tai chi. Chen style is the most traditional tai chi style. It originated in the Chen Village (Chenjiagou) which is the birth place of tai chi. The founder of Chen Style tai chi is believed to be Chen Wangting (1580–1660). As you can see, it has a long history. The Chen style was kept secret within the Chen family for many generations until the knowledge was passed on to Yang Luchan, founder of Yang Style tai chi. Yang Luchan brought tai chi to Beijing where it became very popular. Nowadays, the most popular tai chi style is the yang style. It is the 24 short form yang style that most Chinese people practise everywhere in China. I started my tai chi journey with wu style and yang style. What I loved about the Chen Style was the circularity of its movements, with energy spiralling in and out of different parts of the body. I also loved the ritual that our Grandmaster Chen Zhenglei (19th generation inheritor of the Chen family and 11th generation direct-line successor of Chen Style Taijiquan) follows in his teachings and both Nick and I imitate at the end of our classes. We always thank our masters for all the knowledge passed on to us. Your tai chi lineage comes directly from the birth place of tai chi and one of his inheritors, Grandmaster Chen Zhenglei. Grandmaster Liming Yue is an indoor student of Grandmaster Chen Zhenglei, and Sifu Nick Taylor of Devon Tai Chi Centre too. My teachings come to you directly from workshops that I have attended with Grandmaster Chen Zhenglei, my regular workshops with Grandmaster Liming Yue who runs the Tai Chi Centre in Manchester and some corrections and gentle encouragement from Nick. I have been doing tai chi regularly since 2006 and I became a teacher in 2010. Categories: FAQ | Tags: chen style tai chi | Permalink. If you would like to start doing some sort of exercise, or meditation daily at home (tai chi, qigong or other) please bear in mind these tips to start a home practice. 1. Pick a time, choose the duration and stick to it: The first thing you need to do is creating a habit of doing something healthy at home. Pick a time when you can be by yourself and relax. Try not to exercise in the first 30 minutes after you wake up and after you have eaten a good meal. Other than that, any time is good. Try to be gentle with yourself, and free one or two days from your “daily” practice, if you feel the need for it. Also, keep in mind that 5 minutes every day for a month is better than 30 minutes and burning out in one week. Aim at doing it for a month or two and plan to re-assess. Remember that at this stage you are trying to create a habit. You can practise longer at a later stage. 2. Practise what you enjoy the most: If you force yourself to do the hardest movements that we do in class or those that you don’t remember, you are going to stop practising at home. You will feel defeated. Instead, try to do some easy breathing exercises, warm-ups, silk reeling, or just tai chi stance, anything that you enjoy doing and make you want to continue practising. Remember you are just creating a habit. You can do the whole form or practise the hardest movements at a later stage. 3. Find complementary materials: While books, DVDs and youtube videos can be distracting and keeping you seated in your sofa, they can also be helpful to start a home practice. You can listen to a guided meditation available in youtube, check GM Liming Yue’s free or subscribed videos, or study one of the Chinese health qigong books and instructional DVDs. All of these while you are moving or meditating. Please respect your practice time, stick to it, do what you enjoy the most and use complementary materials, if they will help. Categories: FAQ, Tai Chi Practice | Permalink. Qigong consists of gentle, yet powerful exercises that have been evidenced in China to prevent illness and relieve some of the chronic conditions’ symptoms. It is no surprise that most acupuncturists and shiatsu practitioners need to practice qigong as part of their training. House of movement offers two qigong classes at the moment, in Chudleigh and Dawlish. Please go to Find a class to find more information. Click on the links to go to the youtube videos. Click on the links to buy books and instructional DVDs in Amazon. If you are not attending any of these classes because of location or timetables, but you would like to join us in our workshops, please send me your email to houseofmovement@gmail.com and I will put you in my mailing list so that you can hear of all our events. You will receive a monthly newsletter (called Lighthouse) with all the information about workshops plus wellbeing news. Categories: FAQ, Qi Gong Workshops | Permalink. Since January 2018, Devon Tai Chi Centre and House of Movement have grown exponentially. We have now over 200 students between the two schools. We have also observed a growing number of recommendations from GPs, physiotherapists and other practitioners. Many of these new students are very enthusiastic about the new journey they are undertaking, and would like to know more, to watch videos at home, to start practising a little. Click on the link to go to Grandmaster Liming Yue online shop. If you haven’t joined a class, and are interested in doing so, please visit Find a class on my website or Nick’s website: www.devontaichicentre.com. I hope you will find all the information you need. If not, please do contact us. In the House of Movement, Alda teaches exercises from 4 main health qigong sets: Ba Duan Jin (eight treasures), Wu Qin Xi (five animal qi gong), Yi Jin Jing and Mawangdui. What is Ba Duan Jin? What is Wu Qing Xi? What is Yi Jin Jing? I just watched this video with Mooji. I have listened to him before and I always find inspiration in his words. This video is about healers and healing. Being a tai chi instructor and psychotherapist, I found it extremely inspiring. It reminded me why I started my career as a psychotherapist. I was working as an interpreter with survivors of torture and I realized that at times my presence was more healing that the words being used. I found a precious gem in those therapy sessions to the point of deciding to leave a very successful career as a translator and interpreter and start working as a teacher and a psychotherapist. The video talks about being fully present in our work, whatever that may be. He reckons that being present is more healing than trying to heal others. And I agree with him. Similarly, if you teach to heal others, you will find yourself trying to fix postures, explain the movements once and again, etc. instead of being fully present for your students. I often find students or colleagues who look for a teacher or master who gives all the details, explains everything to the max and points out to all of their mistakes. I used to be one of them. Grandmaster Liming Yue taught me that I need to learn by myself. I need to take responsibility for my own learning and practice the forms, experience the flow of energy, feel my tai chi as it appears in a shape that has my name on it. I know that many other instructors will teach me to be like them. I know Grandmaster Liming Yue is teaching me to find my own tai chi forms. In a similar fashion, I endeavour to help you find your own tai chi forms and acquire an attention for detail in the process. You will see and learn what you need to see and learn because each one of us has a different journey. If you are being told every single detail, you will only find your teachers’ tai chi, but never your own. It can be useful to train with other instructors, but never forget that learning is your responsibility. Categories: FAQ, Spirituality | Permalink. 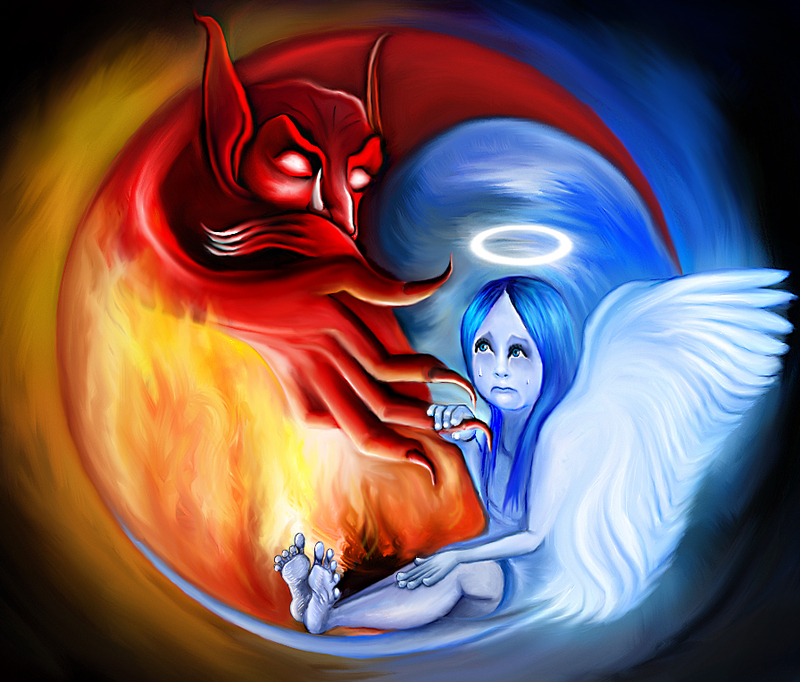 In Western culture, we’re used to thinking of opposites as being in conflict with one another. A lot of our stories are about Good vs Evil, Light vs Dark, Hero vs Villain. These opposite forces are in opposition (see, it’s right there in the language! ), and each one has the goal of completely annihilating the other. They are framed in such a way that we understand that one is better and the other is worse, even if it isn’t immediately apparent which is which. We expect it to be so. Good, after all, is just better than evil! We aren’t used to thinking about opposites as being in harmony, or needing one another to exist. And yet, without understanding their fundamental interconnectedness, the concept of Yin and Yang is difficult to grasp. Yin and Yang are opposites, and they constantly consume one another. We can see this in the famous Taijitu symbol, which looks as if it’s in motion even when it’s still. Yin, the dark half, is still, passive; associated with night, the moon, and the feminine. But in its centre, Yin creates a little point of Yang. Yang is dynamic, active; associated with daytime, sun and the masculine; but in the heart of Yang, it activates a little seed of Yin. Neither one can exist without the other. Imagine if you had to choose between never being still or never resting: you couldn’t do it. And even if you could, whichever option you chose would quickly become unbearable. The two principles have to exist in harmony, in balance. Taichi can be seen as a way of applying the principles of yin and yang to the human body. 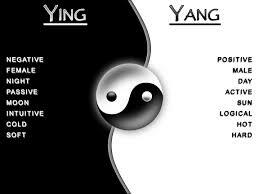 It balances movement (Yang) and stillness (Yin); attack (Yang) and defence (Yin). 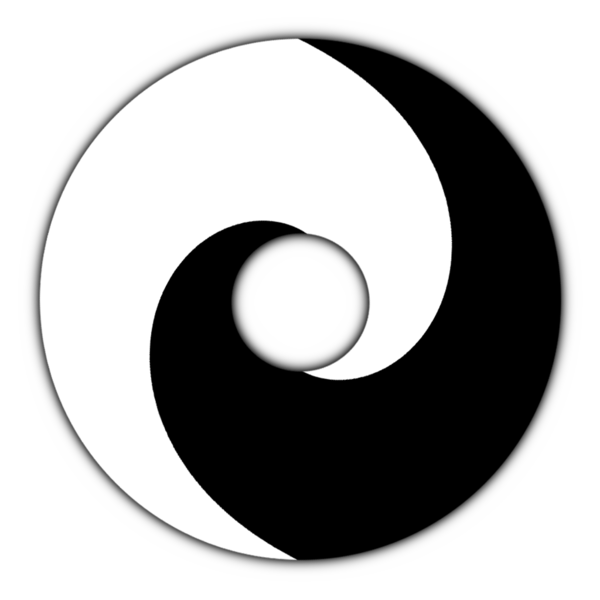 The circular patterns of tai chi movements are said to be based on the Taijitu symbol itself; so that every motion made echoes the harmonious duality of the universe. There isn’t a standard accreditation for a tai chi teacher all over the world, but most qualified tai chi teachers will be able to tell you who they train with and explain their Chinese lineage. This may also appear in their website. If it doesn’t show in their website, ring a tai chi teacher and ask. It may also be wise to check their masters’ website. They would generally have a list of current qualified tai chi instructors. If this is your first time approaching a tai chi class and you don’t have much time available, it would probably be better if you choose a local tai chi teacher. What you wish to create is a habit of becoming healthier. If you need to make too many efforts to go to a tai chi class, you’ll end up finding lots of excuses for missing them. If you have done tai chi before and are looking to seriously commit for your health or personal interest, look for what you consider the best. Most tai chi teachers will mainly focus on one, two or three of these approaches: martial applications and self-defense, health and spirituality. Pick the one you are more interested in. Most tai chi instructors will touch on the three approaches, but emphasize one or the other. Choose the approach you prefer and your teacher accordingly. An American tai chi instructor told me once that he had done many martial arts in different places in the USA and he had gotten to one conclusion: it is not the martial art you do; it is the teacher who teaches it who is going to influence how you learn. There are many good tai chi teachers in Dublin, so pick a tai chi instructor that you resonate with. If you don’t like or trust your instructor, it doesn’t matter how many qualifications s/he has, you will not be embracing his or her teachings. So choose tai chi instructors that you like and make you feel good while you’re learning. Tai chi can be very rewarding, so choosing the right teacher is important. Check how committed you are to tai chi, check your local area for teachers, find out about their qualifications and approach, and make sure you will have fun with your new teacher. We’ve talked about qi, and we’ve talked about the dantians, but when it all comes down to it, how does that relate to you, and your tai chi practice? What does qi feel like? The answer is a little bit like trying to describe what the colour red looks like to a blind woman. You might use a lot of words, but seeing red is an experience that resists easy description. Similarly, the feeling of qi in your body is an experience, and one that can vary widely in how it presents itself. While I can’t tell you exactly what qi might feel like for you, I can tell you what to watch out for, and what to focus on, to increase your awareness of qi. People may experience qi sensations without being aware that this is what they’re feeling; when we don’t have the words to describe something, we tend to put it to the backs of our minds and forget about it. So how do you know that what you’re feeling is qi? Because the tai chi and qi gong stance was developed for qi cultivation, sensations may arise while we are in the stance. Most people feel something, maybe tingling or itching, in their hands or fingers to begin with, others notice an odd smell or see colours with their eyes closed. Some feel the temperature changing – either hot or cold. If you notice something like this, you can determine whether it’s a physical sensation or a qi sensation by deliberately dropping your focus. If the sensation fades, then you know what you were feeling was qi, and you know what to look out for the next time. For me, qi sensation first manifested as heat. While standing, I would get uncomfortably hot, but almost as soon as we started moving again, my body temperature would drop back to normal. I knew that what I was feeling was energy, because there was nothing external to explain that rise and drop in temperature, and no one else was feeling it. After a while, I started to be able to keep centred during silk reeling movements, and that’s when the feeling moved to my hands and arms. It was if the air thickened and became viscous, almost solid. It pushed back against my hands when I moved them. This was a huge help in my tai chi practice; the path of least resistance through the air guided my movements. Remember that feeling the qi is not necessary for there to be a positive effect from tai chi, and moreover, it is not an indication of skill in tai chi or qi gong by itself. People can have a stronger awareness of qi when they are ill or in poor health, for example, and that’s certainly not what we want to aim for! Cultivating qi awareness can be a guide and a help in your practice, but it does not need to be the focus.